A Preferred listing provides all your contact details including phone, fax and email and precedence of placement of your profile providing priority over later registrations. Add your profile description and we will include it in up to three specialist search areas. 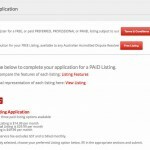 A Professional listing provides your with a virtual website to market your ADR practice. 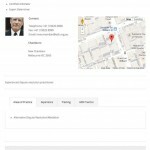 It adds: Your photograph and an extended profile for you to fully describe your business practice, Your business address and Google map of its location, Your CV, fee schedule or articles you want enquirers to access and Your profile is included in every Specialist area in which you want to be found. A Panel listing provides all of the individual features of a Professional Listing, coupled with group marketing support. We provide the specialist internet infrastructure and support to market your Panel’s expertise and availability. Personal Listing for a limited FREE Listing. If not already selected, choose your preferred Listing option below, fill in the appropriate sections and submit. Select each of the areas of accreditation for which you wanted to be listed. You will be asked further questions below on each area. You can select multiple Associations by holding down the "Command" key. If you are a Nationally Accredited Mediator, which is your primary RMAB Association? Select the name of the RMAB of which you are a member. If you are a member of any other RMABs, select them here. List here the of Mediation Practice in which you want your details to be listed e.g Family Law, Bankruptcy and Insolvency, Wills and Estates etc. PREFERRED Listings can select up to 5 areas. PROFESSIONAL and PANEL Listings can select ALL search areas relevant to their practice. Select the areas of Family Law mediation practice in which you want your details to be listed. PREFERRED Listings can select up to 5 areas relevant to their practice. Select the national PANELS that you are qualified to join. Provide information about your dispute resolution skills and practice. Provide information about your mediation skills and practice. PROFESSIONAL and PANEL Listings can select ALL areas relevant to their practice. 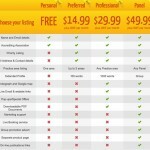 PROFESSIONAL and PANEL Listings can select up to 10 areas. In which State have you been accredited and listed as a Panel Member. Provide a website to which you want your profile to be linked. If you want to have a Google map showing the location of your practice premises provide a geo-locational address. Provide additional information to go under a tabbed heading. This could be areas of practice, mediation training or your Clerk's contact details. If you are applying for status as a Dispute Resolver for which you are not currently listed on the ADR website (e.g. as an Arbitrator if you are only listed as a Mediator) then you need to provide documentary evidence of your qualification from your accrediting organisation. Provide a PDF copy of your professional CV. Many people who are organising a dispute resolution process want a brief summary of your skills to send to another party. This is a secure page. Your credit card details are provided directly to the provider Stripe. None of your personal or credit card information is provided to, or retained by ADR.